Ever since 3D printing was invented, it has been a staple technology in prototype manufacturing. 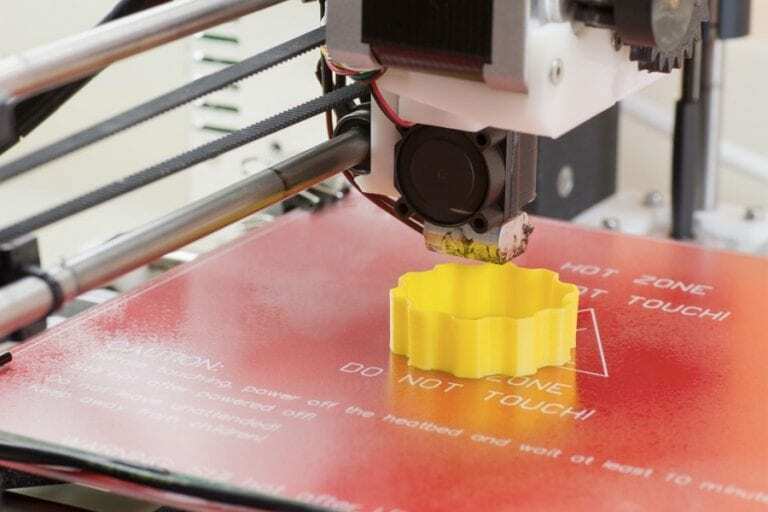 Manufacturers realized early on that 3D printing allows for custom manufacturing of short-run models with greatly reduced turnaround time, and without the need for specialized machinery. This not only saves a lot of money, it also makes testing and design easier than ever, leading to better quality products. From jet engines to prosthetic limbs, 3D printed prototypes are accelerating innovation in every manufacturing sector. By producing customs parts to order, 3D printing also allows manufacturers to cut down on their inventory. Commercial airplane manufacturers, Airbus, are using 3D printing to reduce some 40 million aircraft components they keep in storage. 3D printed parts can be fabricated as soon as they are needed, eliminating the need for large orders can take up warehouses worth of space. Today, the costs of 3D printing materials make the process prohibitive for large-scale parts manufacturing. 3D Systems, Stratasys, EOS and Arcam hold 31% of the market share, and charge up to 100 times cost markup for 3D printing composites. However, as the patents for many of these materials begin to expire over the next decade, these costs will begin to drop, and we will see more manufacturers using 3D printing for their custom parts production. Compared to conventional machining, waste materials in 3D printing are reduced by almost 80%. Where most manufacturing machinery is subtractive, 3D printing is additive, which is virtually wasteless. In addition to being a cost-saving measure, less waste also helps manufacturers reduce their carbon footprint. Products can even be 3D printed from recyclables such as plastics which would otherwise end up in landfills at the end of their product cycle. This makes 3D printing particularly advantageous for manufacturers as environmental legislation increases in coming years. Needless to say, 3D printing will influence the manufacturing industry for years to come. In order to stay competitive on the global market, manufacturers all over the world will need to adopt this new technology before it is too late. 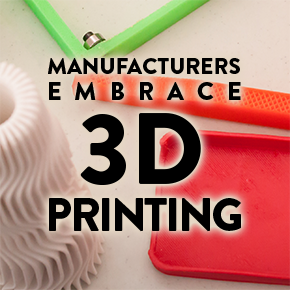 We look forward to seeing the new ways in which 3D printing will revolutionize manufacturing and beyond.